I will be sneaking away from my blog for a few days to enjoy the Thanksgiving holiday with my family. So I just wanted to send you all heartfelt wishes for a wonderful Allergen-Friendly Thanksgiving celebration! I am so grateful to each of you for your continued support, your comments, and your readership. The blogging community has been such a true blessing to me and I thank each of you for being a part of my cozy little spot in the blogosphere. 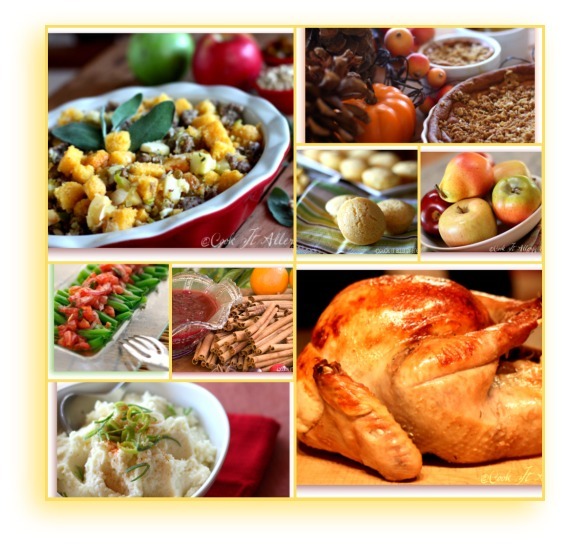 To my U.S. friends, I wish you all a BEAUTIFUL ALLERGEN-FRIENDLY THANKSGIVING FEAST! And to all of you from the other special nooks of our world, I wish you a beautiful week full of wonderful food! And in case you are looking for some last minute ideas, do not forget to check out my…. Have a wonderful week filled with delicious safe gluten-free and allergen-friendly food! Love it all! A very happy, merry Allergy-Free Thanksgiving to you too. Enjoy the time with your family! Hope you have a fantastic Thanksgiving as well! I am so excited to try your cranberry sauce and stuffing this week! Happy Thanksgiving Kim! You deserve a break. Enjoy!